John Watson has just posted his next tech blog on the forums. “The wheels of console porting are turning steadily, but slowly. I am currently evaluating 3 different development organizations that can help us do the ports. The way our game code is structured is fairly esoteric, so finding the right people is a challenge. The task requires previous experience with a fairly specialized piece of technology (Scaleform). However, I am in discussions with some people with very strong backgrounds in that area. 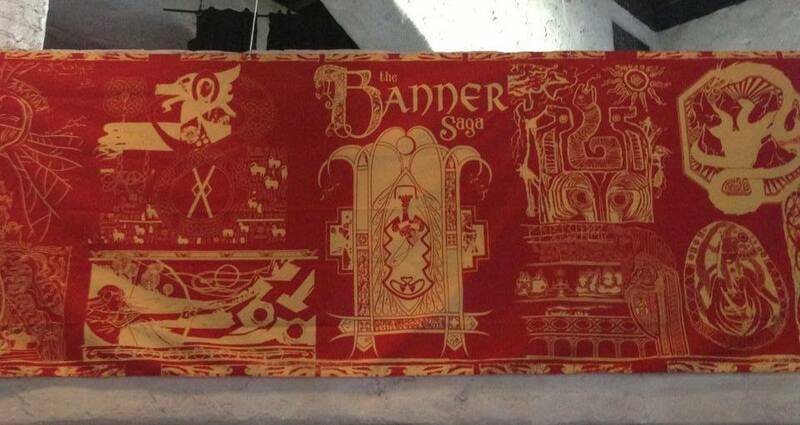 A heartfelt thanks to everyone who submitted a design for The Banner Saga’s “Creating the Banner” art contest. We were very impressed and humbled by the effort everyone made coming up with their designs to show support for the game and some of the results were fantastic. Congratulations to the artists who’s designs were selected for the final community created banner.